Simply delicious muesli – 18 glorious bowlfuls of everyday breakfast pleasure. And here are some of the reasons why - three different types of wholegrain flakes, raisins, sultanas, dates, brazil nuts, hazelnuts and sunflower seeds….have we convinced you yet? 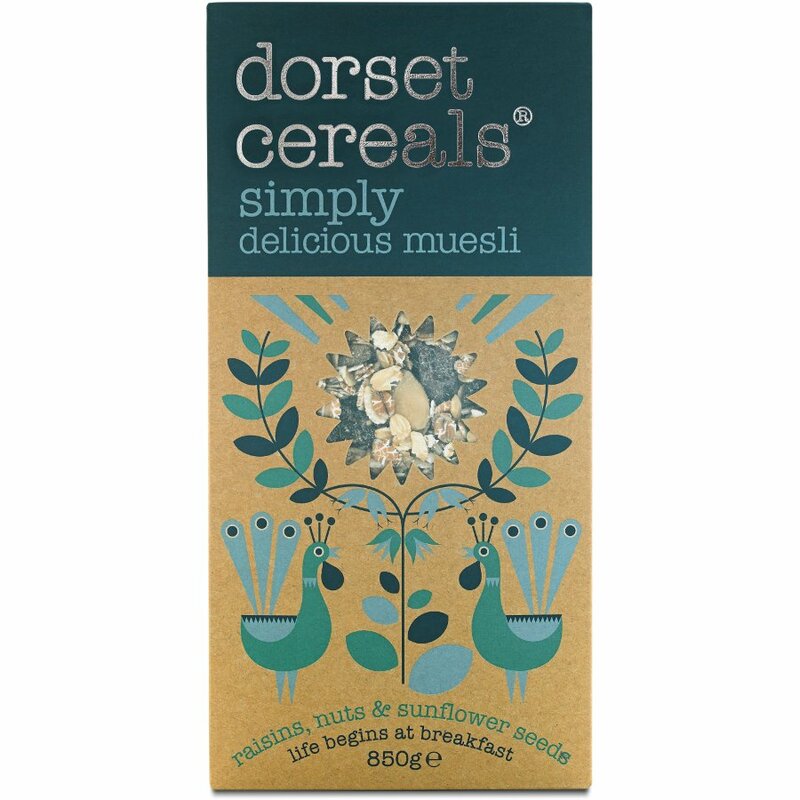 The Dorset Cereals Simply Delicious Muesli - 850g product ethics are indicated below. To learn more about these product ethics and to see related products, follow the links below. 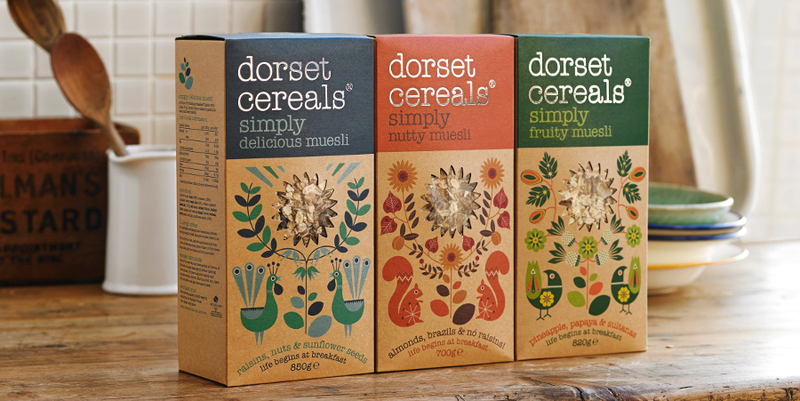 There are currently no questions to display about Dorset Cereals Simply Delicious Muesli - 850g. 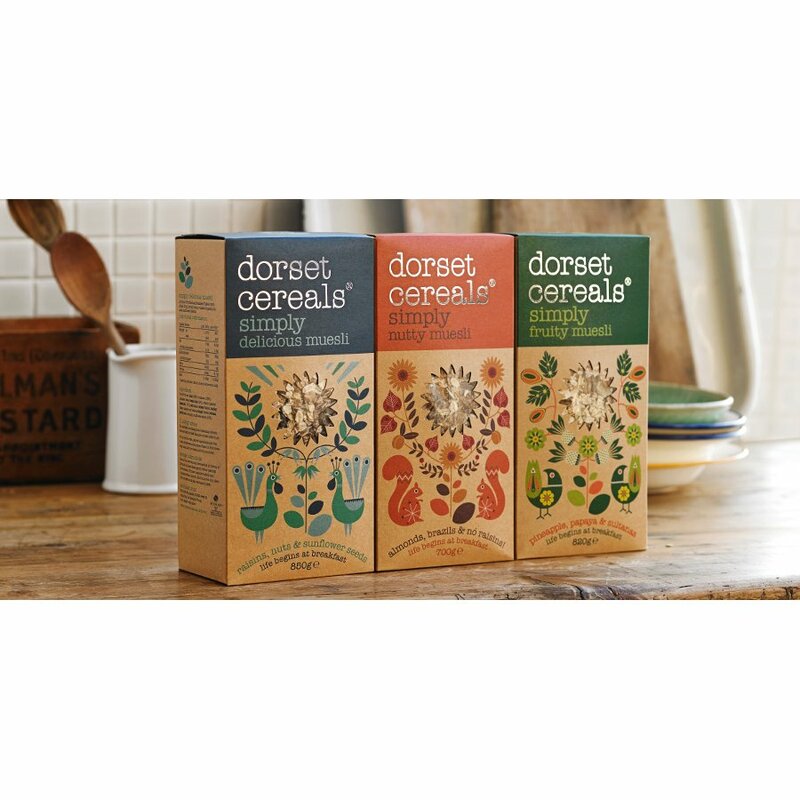 All Dorset Cereals are made in the UK in Poundbury, West Dorset. Their recipes are balanced and blended carefully from nutritious and delicious quality ingredients. They sponsor a local food bank charity in Salisbury and also support The Woodland Trust, having paid for 16,000 trees to be planted across the UK.